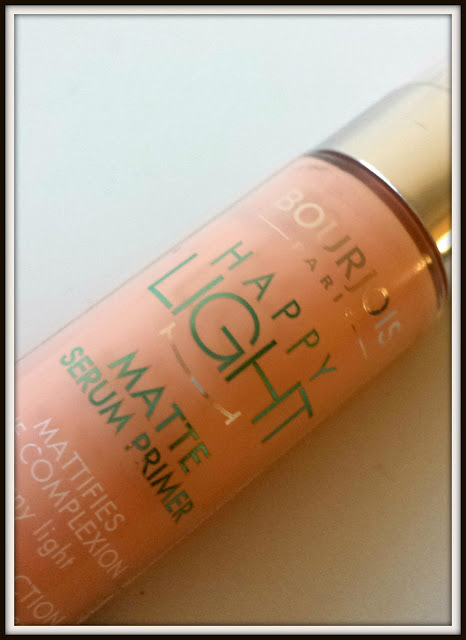 Bourjois have brought 2 new serum primers into their range, The Matte Serum Primer which is the one I picked up, and the Luminous Serum Primer. Now the old me would have rushed to pick up the latter, as I love the luminous look and always looked for that when it came to bases. But as I said above, my skin has been slightly oilier recently, leaving me with a shiny forehead and a few extra blemishes. So I figured I'd try the Matte one and see how I go. This primer, like most, can either be used on it's own or under foundation, and claims to mattify the skin and refine pores. It's a light creamy gel texture, which is super easy to apply and absorbs really quickly. However, I found that if I used it with my mattifying moisturiser (Garnier Moisture Match Shine Be Gone), it was a little bit too drying on my skin and felt a little bit harder to apply. 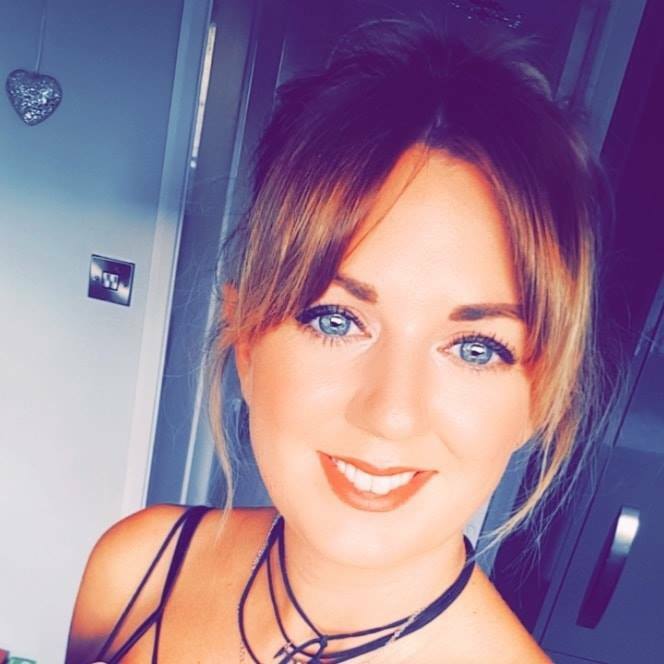 When I use it with a moisturiser aimed at normal skin it glides on much nicer and still mattifies the skin nicely so I would keep that in mind. 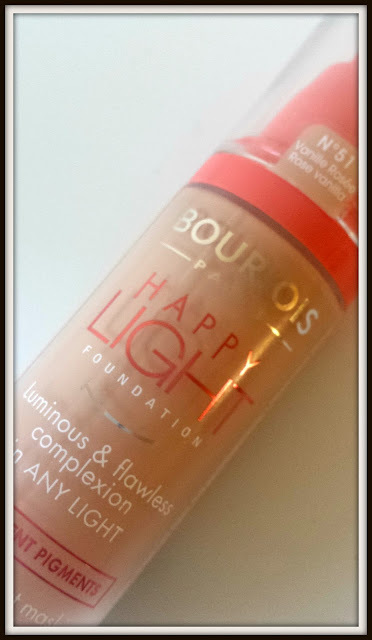 I've tried this underneath both the Happy Light Foundation (below) and the Healthy Mix Serum Foundation and felt it worked much better under the Healthy Mix Serum. 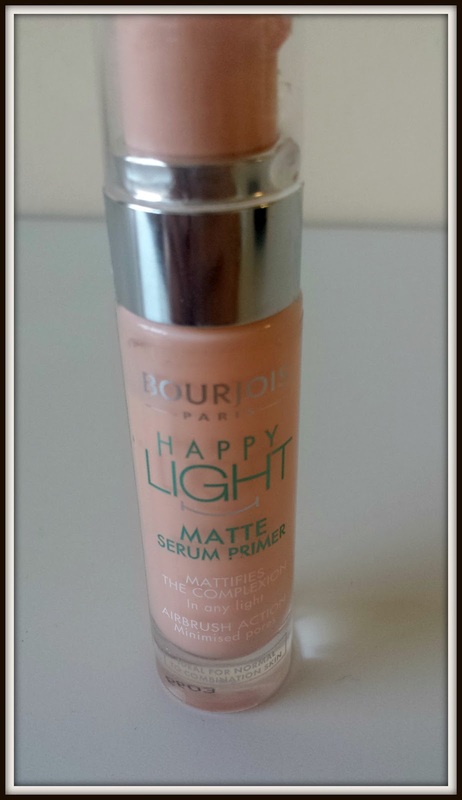 I found it made my skin 'too matte' and slightly tight (if that makes sense) when used under the Happy Light. I think perhaps my skin isn't quite oily enough for this combo. Overall I think it does what it says, it certainly mattifies the skin, and I reckon people with very oily skin will get along very well with this. So I think I'll keep this primer for when I use Healthy Mix Serum as I'll definitely still use it, and I'll maybe try the luminous version aswell to see if that works better with the Happy Light. 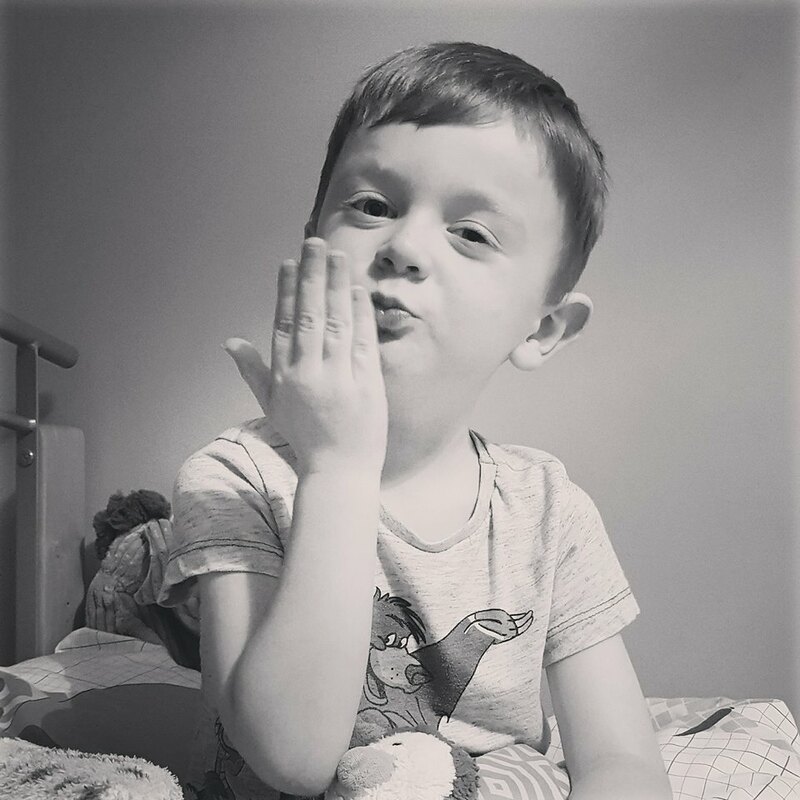 If, like me, you have loved Bourjois' other foundations (my absolute favourite being Healthy Mix Serum - sorry I know I keep going on about it), then no doubt you are hankering after trying their newest kid on the block! I couldn't resist it in Boots and instantly ran home to try it out (sad? lol). One thing I HAVE to mention, is, for some strange reason, the shades are much darker compared to other Bourjois foundations. For example, I am the shade 53 (even 55 in summer as I tan quite well) in Healthy Mix Serum, but have had to get 51 in Happy Light as they seem to run so much darker. So you really do need to swatch this before you buy and not just pick up your number. Happy Light Foundation boasts the claim that it will give a 'luminous and flawless complexion in any light'. Don't know how they can claim something like that - that sounds too perfect? I think what they actually mean is that we can achieve a luminous complexion using without the need for shimmer and other factors. 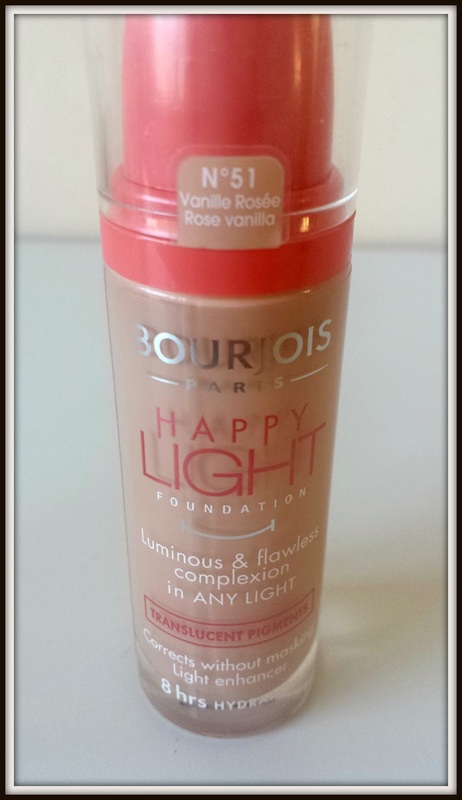 The texture is classic liquid foundation, if not a bit lighter and runnier than most others I have tried. I'd say the cover is sheer to medium, depending on how much you build it up. If you want really light tinted moisturiser esque coverage I'd suggest you use your fingertips. I like to use my Real Techniques Buffing Brush to lightly buff into the skin and it covers my redness on my nose and leaves a lovely light but natural sheen, as opposed to being overly dewy or matte. As I said above, I used it with my the Matte Serum Primer and didn't like the results as much, I felt it was a little harder to apply. I have used it with a different primer (BareMinerals Prime Time) and it applied lovely - honestly effortless. I'm excited to try this with the other Luminating Serum Primer and see how it fairs but I'm really pleased with this foundation. I'm afraid I can't say it beats the amazing Healthy Mix Serum but it's definitely up there for giving a natural glow. Perfect for anyone who wants that 'no makeup' makeup look! 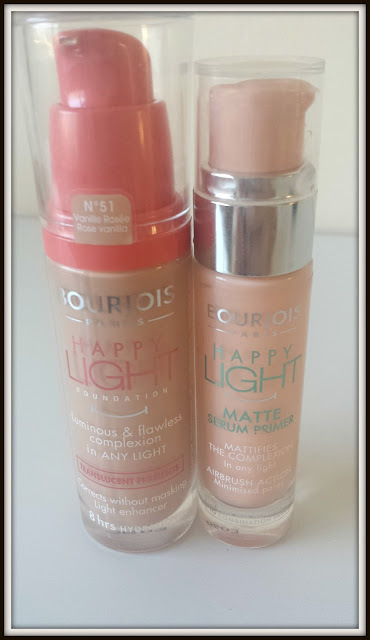 Have you tried the new Happy Light range?